I want to be able to bring the benefits of bees (pollination, honey, and more) to people in Greater Boston and Southern New Hampshire. The hives will “live” on other people’s property, and HYAH will offer a yearly maintenance service. HAYH is thrilled to now offer opportunities for adopting or partially sponsoring hives at worthy public spaces. When I say Honey Bee the first thing that comes to mind is stings and the picture in many peoples mind is of a “swarm” of attacking Yellow Jackets. Many don’t know that there is a difference between the sweet Honey Bee and a Yellow Jacket. The Honey bee is the antelope and the Yellow Jacket is a Lion as the Honey Bee daintily sips nectar and the Yellow Jacket is a carnivore. Also the word swarm drives me crazy as when asked the other day what are the gentlest bees I immediately thought of a swarm. Swarm means the hive is reproducing by sending half its members with the old queen forth to find a new home. A swarm of bees has no baby brood nor honey to defend and can be scooped up with your bare hands. Unfortunately the person was writing a poem and although the word swarm to me means gentle it will take more education before that is the first adjective that comes to mind for most. So why do we need these gentle creatures? I could extol so many of their virtues that may not be directly related to your life (and I will if you ever meet me,) but to cut to the chase: modern agriculture depends upon the honey bee for pollination and with severe honey bee loss our food supply would be devastated. Imagine the fruit and veggies they pollinate not being at the supermarket, none no matter where you shop as being willing to spend more won’t matter as there will be no food. Now this isn’t entirely idle fear mongering as bees have dwindled in numbers for decades and have been in real bad shape for a while now with a few culprits potentially capable of destroying the honey bee industry as we know it. I have my own opinions on this, but suffice it to say the one thing I think people agree on is we depend on the honey bee for pollination of the majority of crops and bees are in trouble. The best book I’ve read on the subject is “Forgotten Pollinators” by Buchmann and Nabhan. Wild bees and wasps get the majority of their nectar/pollen early morning and late afternoon, while the Honey Bees sleep in a little work the middle of the day. What allows the Honey Bees to shine is their communal working together. By having foraging scouts locate good sources the honey bees are able to forage over a 5 mile radius from the hive. Honey Bees are particularly great for pollination as they exhibit high fidelity to the same flower species per foraging trip; hence they bring pollen from one flower to another of the same kind versus bringing it to the “wrong” target. But Honey Bees are also not “perfect” in pollinating everything (this is a good thing for the other bees,) they’re sophisticated approach has them target the highest nectar/pollen yields during optimum conditions, and so they will leave room for other pollinators. So I will admit even with two hives at my 1/5 acres house lot, that the 100′ of roses was mostly bumble bees. A lot of the small flowers were mostly worked by solitary bees. The 20′ of trellis with trumpet vine had more yellow jackets and ants then anything. It was actually only on half of the plantings and one of the flowering trees that I saw honey bees with regularity and for those they did completely dominate in numbers. They did well on our veggies too except the nightshades (tomatoes etc.) as those require vibration stimulation to release pollen, you need bumble bees. As far as the hive of bees goes, many complain that the hornets killed my hive, or the wax moths, or wax beetles. Not the case, if they did then the hive was already doomed as it was too week to defend itself and hence to weak to survive the winter. In the fall social wasps desperate for protein may engage in war to go after brood, but this is only a problem if the hive is too weak. So I wouldn’t worry about the Honey Bees in relation to other wild pollinators. In regards to pesticides, the affects of all the different poisons “we” create are hard, especially with up to 5 a mile radius of foraging. As hives will be rural, suburban and urban; I have to tackle each of these different systems. By refusing to put the hives themselves directly downwind of fields that spray, in suburban lawns that spray or near industrial polluting sites it tackles some, but its hard to manage entire forage area (up to 50,000 acres during dearth periods, usually the closer 8,000 acres). So I can be beyond organic at the hive (if the organic bee standard was to ever pass I wouldn’t use any of the substance that would be OK for the standard,) but its still a shame I’m at the whims of a society that sees nothing wrong with putting poisons everywhere. The new pesticides (neonicotinoids thanks to Bayer) are systemic, in every cell of the plant, pollen, nectar included. They rave that it isn’t sprayed as its in the seed and doesn’t hurt mammals nearly as much as pesticides a decade age, but that isn’t any comfort to the bees. Also don’t like that you can’t peel or wash the pesticide off, if you eat the vegetable you are eating the new pesticides, even with the lower toxicity they are new and no long term studies. In the past the mass die-offs due to pesticides was the major concern, but that is an easy one to diagnose. If it just shortens the life of the bees, then they might not be living long enough to take the job assigned to older bees, that of a forager and the hive dies. Then their are the fertility affects, the affect on brood survivability, and the general weakening that may not kill on its own but leaves the bees vulnerable to the classical bee diseases that are always out there. How do bees interact with neighbors and with me? Bees forage over a 5 mile radius so as far as any issue with the bees foraging there won’t be any noticeable difference to anyone. 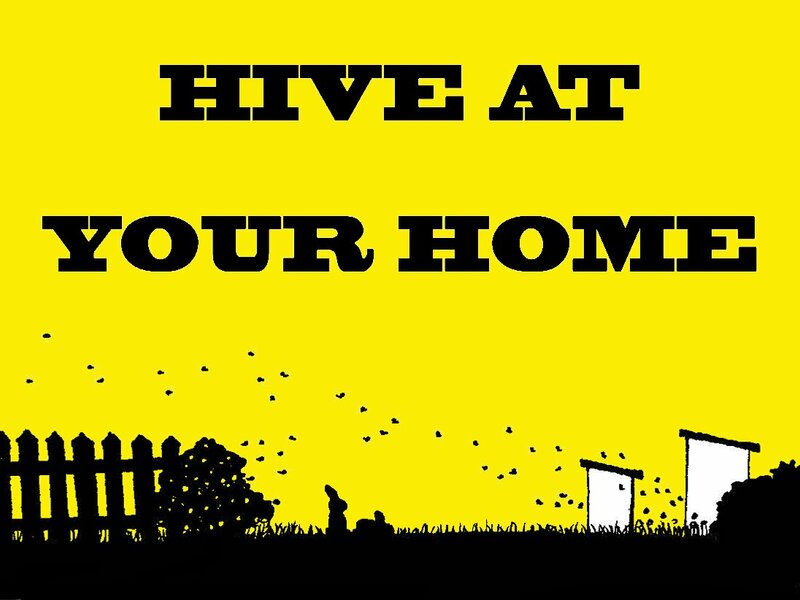 1: People being at the immediate entrance of the hive up to a ten foot radius in front as approaching right up to the entrance both blocks them and also alerts them to think you are interested in the hive (approach up to the hive from any other side.) The entrance does best to the south-southeast. 2: The bees do pick a flight path that they use to approach the hive. If this flight path intersects with a heavily used walkway the bees might run into you or a neighbor at distances further than 10 feet. They most likely won’t be aggressive but a neighbor may not want bees running into them all the time or peeing on them. To help avoid this, if there is a fence or hedge or something 10′ or more out from the hive entrance that would make them climb to above 6′ from the ground they won’t dip back down and will fly over anyone past the hedge or what have you. 3: Swimming pools are attractive to bees as they need a water source and chlorine attracts them. Some die in the pool as there isn’t anything to land on and sip from then people see them. If a water source is provided from the start before pool season the bees will be used to this water and that will help. It must always be available or they will look elsewhere. a pail or bin or pond or tub, best with either sloped sides or just throw something (sticks) in for them to land on or running water, a slow drip or a water feature. 4: People seeing hives. For the most part the bees themselves are not of a concern, its mostly the perception of bees. Yes people have seen hives years after they were placed and suddenly its a concern although they couldn’t tell previously there had been bees. You have choices in how to deal with neighbors. You can talk to neighbors preemptively. You can bribe with honey. You can have the hive out of sight or use a hive type not discernible as a hive (meaning anything not a white Langstroth), the overwhelming odds are not only will no one will be negatively affected, but no-one will be able to tell you have bees. Bees are in trouble, and it is mostly because of us. We have destroyed much of their natural habitat, we have poisoned their food and in the case of honeybees, we have used and abused them for our own purposes while not giving enough attention to their needs and welfare. Honeybees have been evolving for a very long time – the fossil record goes back at least 100 million years – and they became remarkably successful due to their adaptability to different climates, varied flora and their tolerance of many shapes and sizes of living accommodation. They became attractive to humans because of their unique ability to produce useful things, apparently out of thin air: honey, wax and propolis. Until the nineteenth century, they were kept in pots, skeps, baskets and a variety of wooden boxes intended more-or-less to imitate their natural habitat of choice, the hollow tree. With the invention of the ‘movable frame’ hive, the second half of that century saw an exponential growth in commercial-scale beekeeping, and by the time motor vehicles became widely available, beekeeping on a widespread and industrial scale became a practical possibility. Since then, bees have been treated in rather the same way as battery hens: routinely dosed with antibiotics and miticides in an effort to keep them producing, despite the growing problems of diseases and parasites and insecticide-treated plants that have led to the emergence of so-called ‘Colony Collapse Disorder’, especially in the massive beefarming operations in the USA. It doesn’t have to be like this. Some beekeepers have realized that, if bees are to become healthy enough to develop resistance to disease and the ability to adapt to pests, then they have to be treated differently – and not just by beekeepers. There are better ways of dealing with pests – especially biological controls. Modern pesticides are extremely powerful and many are long-lasting and very toxic to bees and other insects. Removing all unnecessary pesticides from the environment is probably the single most important thing we can do to help save the bees. By doing two simple things – avoiding synthetic insecticides and herbicides, and creating habitat by planting bee-friendly flowers – you can create a Bee-Friendly Zone as small as a windowbox or as big as a public park, a whole village or neighbourhood. See http://www.beefriendlyzone.com for details. 3. Read the labels on garden compost – beware hidden killers! Some garden and potting composts are on sale that contain Imidacloprid – a deadly insecticide manufactured by Bayer. It is often disguised as ‘vine weevil protection’ or similar, but it is highly toxic to all insects and all soil life, including beneficial earthworms. The insecticide is taken up by plants, and if you use this compost in hanging baskets, bees seeking water from the moist compost may be killed. If you have space in your garden, let some of it go wild to create a safe haven for bees and other insects and small mammals. Gardens that are too tidy are not so wildlifefriendly. You can buy wildflower seeds from many seed merchants, and they can be sown in any spare patch of ground – even on waste ground that is not being cultivated. Some ‘guerilla gardeners’ even plant them in public parks and waste ground. If you have some space to spare, you could offer a corner of your garden to a local beekeeper as a place to keep a hive or two. They will need to have regular access, so bear this in mind when considering a site. Providing a simple box as a place for feral bees to set up home is one step short of taking up beekeeping, but may appeal to those who want to have bees around but don’t want to get involved with looking after them. Many people believe that local honey can help to reduce the effects of hayfever and similar allergies, which is one good reason to buy honey from a local beekeeper rather than from supermarkets, most of which source honey from thousands of miles away. If you can, find a beekeeper who does not use any chemicals in their hives and ask for pure comb honey for a real treat. It is easier than you might imagine to become a beekeeper – and you don’t need any of the expensive equipment in the glossy catalogs! Everything you need to keep bees successfully can be made by anyone with a few simple tools: if you can put up a shelf, you can probably build a beehive!